– the short or the long. Look I was like many of us: totally lost for a very long time in my life. Crap just seemed to keep happening & I had not a clue how stop that and make the good stuff happen instead. Yet miraculously I did find a way through to a life of what I now call true flourishing in all domains. A large part of that journey for me – amongst plenty of inner work, interventions, life hacks & skills – was coaching. It’s the very reason why I’m in the field myself. It works and I want to share what worked. My core mission in life these days is to help others discover what’s meaningful and gives purpose to their own lives and help them also connect with and live out their full potential. To have the 100% life they too deserve. I’ve been fortunate to train first-hand with some incredible world leaders in the fields of coaching, leadership, mindfulness and personal development. And here I am. Ready to do some great work if you are. And the long version? Ok then, you asked for it. Born in the great southern land of Australia, at a fairly young age I found myself drawn into what eventually became a relatively long and genuinely fulfilling international performing and teaching career. It was a first real taste of vocation … of calling. Something about it seemed to simply run in my blood. And when I danced … I just felt, well, complete. Like I’d truly found what I was made for at that point in life … or perhaps somehow it had found me! My early training led me first through the elite national academy of the Australian Ballet and then onwards professionally throughout the globe. Never a star but always in work, I landed on stages, opera houses and screens around the world for well over a decade. Whenever anyone asked ‘What do you do?’ the response was a no-brainer. It wasn’t so much what I did but what I was. Nonetheless, in what seemed like no time at all I learned the lesson all elite athletes encounter: That there’s a point at which it’s simply no longer healthy, practical or even possible to keep at it. Young as you might still be, it’s also a point at which the body itself simply begins to say ‘Enough!’. When that day finally swung fully into view I decided that now was the moment to get ‘serious’ in life. As personally rewarding as the performing arts might be, they are rarely so financially, so now seemed like that time in life had arrived to go chase down the money dragon. I sure tried out a few interesting career threads and eventual dead-ends until I finally had the brilliant idea (plus the requisite skills) to establish what grew astonishingly quickly into a thriving design-led business in that design-savvy epicenter which is London. Successful in many ways as that had become, it equally became crystal-clear that something fundamental was missing. Despite the offices, staff, full order books and national press coverage, I still felt empty and lost. Like I was in some other guys life. That elusive ‘something’ was what I now frame as a sense of meaning and purpose. Qualities which had been the very ‘fire in the belly’ in my performing career, were ones which had been unwittingly set aside when I started chasing the mirage of success as an entrepreneur and general go-hard business guy. Look, this is not to say these fine callings are ‘wrong’ or ‘bad’, but what I realized was they sure as heck weren’t an appropriate fit for me at this time. Well first life lesson was: When you’re in a hole, don’t keep digging! After taking a big step back to reflect and dig deep into my own personal work, it was abundantly clear my true calling in life at this point, my vocation, was definitely not in the direction I had been so resolutely tromping, but in some ways quite the opposite. In a fascinating field called human potential development. For the uninitiated this is the wonderful world of what enables us to go from average to awesome. I realized my mission was to work with others, and particularly those who were unnecessarily suffering in empty, stress-filled, meaningless lives as I had been. Now that I’d discovered coaching’s potential to create swift radical shifts and empower change, it was clear this was to be my main pathway to effect that in others. This was my new vocation and as you can tell, still is to this day. In many ways, what I do now is simply an extension of skills I’d been developing for over three decades. I originally began teaching over 35 years ago, was mentoring for almost as long, and now finally moved professionally into coaching just over a decade ago. All of these rich experiences and life-lessons above (trust me, there’s more!) have contributed to a passionate interest in clarifying and working skillfully with core values, strengths, meaning and purpose as essential pathways to personal and professional flourishing as it has to my deep interest in all life domains that help contribute to optimal human functioning. And so topics such as enhanced nutrition, upgraded cognitive performance and optimal exercise hacks invariably find their way into the coaching at some point. A 100%Life means engaging with all domains necessary to bring us to our true potential. I’ve worked with clients as diverse as CEO’s and presidents of international media conglomerates right through to performance artists and stay-at-home-parents. My coaching skillset owes as much to the plethora of amazing and enlightened teachers and mentors I’ve had the good fortune to work with as it does to my own wide range of personal experience and interests including the fails … or learning opportunities as I call them! I am professionally credentialed with the International Coach Federation (ICF)‡, an associate member of the International Positive Psychology Association (IPPA) and a professional member of the American Mindfulness Research Association (AMRA). Mindfulness informs much of my work and I’ve had a personal meditation practice for over 30 years, sat retreats with many notable teachers in the western Insight tradition and continue to do so regularly. My guiding teacher in this tradition is Yanai Postelnik. I am one of the leaders of Chattanooga Insight under the direction of Thanissara and Kittisaro. I’m a CFM Qualified MBSR Teacher with the Center for Mindfulness at UMass and attended the MBSR in Mind Body Medicine Professional training with the program’s founder Jon Kabat-zinn. I’ve also completed Google’s inhouse Search Inside Yourself mindfulness and emotional intelligence (EI) leadership program. Alongside my coaching practice I speak, write and am currently Head of Coaching Faculty for the Human Potential Institute, having co-created the program with the institute’s leader and medical director Dr Mark Atkinson and Bulletproof CEO Dave Asprey.. I continue to work extensively with leaders, professionals (groups & individuals) and organizations in areas as diverse as leadership presence and development, effective communication, optimal functioning and cognitive performance, focus and attention training and of course … mindfulness. Alongside this I lead workshops, trainings and classes for business professionals and individuals locally in Chattanooga, Tennessee, many of them in association with the Center for Mindful Living. Before I finish just let me say this: If it’s life change or upgrade you’re seeking, though I clearly chose to make a pretty radical shift in my own life, discovering your calling and repurposing to live that life doesn’t automatically require such dramatic changes of us all. Often my clients find their sense of what’s truly fulfilling and continue merrily on along very much the same career and life track, just a heck of a lot happier, healthier and more fulfilled. 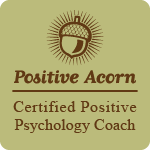 I am a professionally credentialed PCC with the International Coach Federation (ICF)‡, an associate member of the International Positive Psychology Association (IPPA) and a professional member of the American Mindfulness Research Association (AMRA). Mindfulness informs much of my work and I’ve had a personal meditation practice for over 30 years, sat retreats with many notable teachers in the western Insight tradition and continue to do so regularly. My guiding teacher in this tradition is Yanai Postelnik. I am also one of the leaders of Chattanooga Insight under the direction of our founding teachers Thanissara and Kittisaro. I’m a CFM Qualified MBSR Teacher with the Center for Mindfulness at UMass and attended the MBSR in Mind Body Medicine Professional training with the program’s founder Jon Kabat-zinn. I’ve also completed Google’s inhouse Search Inside Yourself mindfulness, emotional intelligence (EI) and leadership program. Alongside my coaching practice I speak, write and am currently Head of Coaching Faculty for the Human Potential Institute, having co-created the program with the institute’s leader and medical director Dr Mark Atkinson and Bulletproof CEO Dave Asprey. I continue to work extensively with leaders, professionals (groups & individuals) and organizations in areas as diverse as leadership presence and development, effective communication, optimal functioning and cognitive performance, focus and attention training and of course … mindfulness. Alongside this I lead workshops, trainings and classes for business professionals and individuals locally in Chattanooga, Tennessee, many of them in association with the Center for Mindful Living. ‡ A brief note of caution. It may well be that after reading more about me you feel I’m simply not the coach for you and honestly that is always fine. One thing that’s necessary for coaching to be effective is to have a good fit. However please be aware that the world of coaching can be a place of many snares and pitfalls. Sadly there are no regulations on the use of the term coach and as a result you may have someone with years of professional experience and education hanging out a shingle beside another whose entire training consisted of two hours somewhere on the internet watching youtube clips and munching Cheetos. One of the few ways you can figure out this puzzle is to check if the coach is a credentialed member of one of the recognized professional coaching bodies such as the ICF, the Association for Coaching (AC) or the EMCC or at least completed one of their accredited trainings. Being a member demonstrates that your coach has been judged as competent and that they also abide by a code of ethics and professional conduct. Sadly the rule here is the same as in most of life: caveat emptor or Buyer Beware!